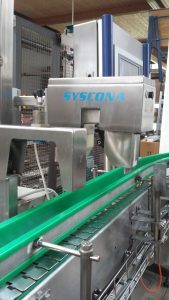 Fillheight- and label inspection, make Syscona, built 2008, with HF-head built 2015, for inspecting over overfilling / low filling, sensores for label inspection, optical sensores, with pusher, for 13.500 € for sale. 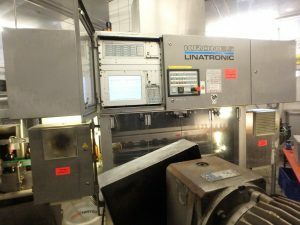 Inspector, make Miho David, for inspecting of 2x side wall, mouth, thread, bottom inspection, rest liquid over HF + IR, with Multicon for foreign bottle recognition, built 2002, for sale for 36.000 € o.n.o. for sale. ex location for sale for 4.500 €. Premixanlage, Fabr. Holdefleiß, Typ: Ultramix, für 65 hl/h, 2-Komponenten: Sirup + Wasser, mit Entgasung, mit Steuerung, Dosierpumpe von Bran&Luebbe Typ: Normados, zu 6.000 € VHB ausgebaut zvk.